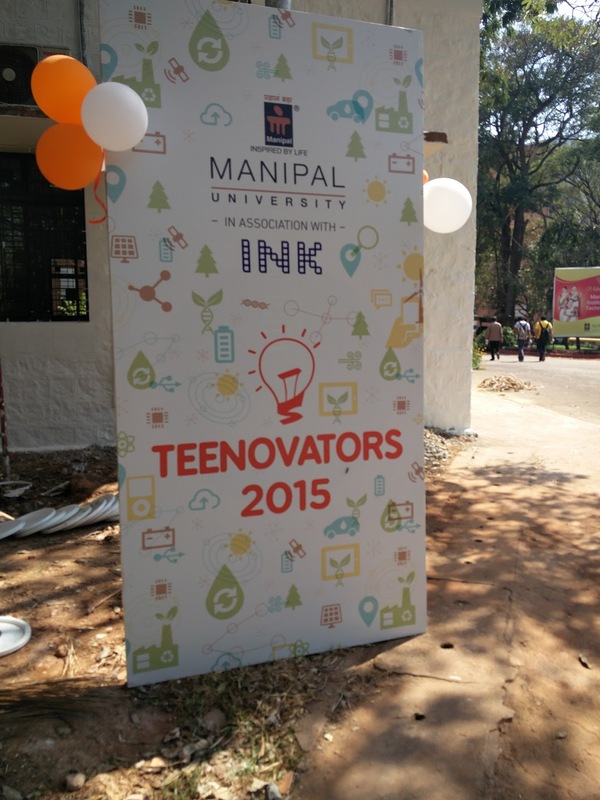 I would like to thank Blogadda and InkTalks for giving me the opportunity to attend the Teenovators 2015 event at Manipal Institute of Technology, Manipal on 30th Jan 2016. The Teenovators program was all about innovation and feasibility. 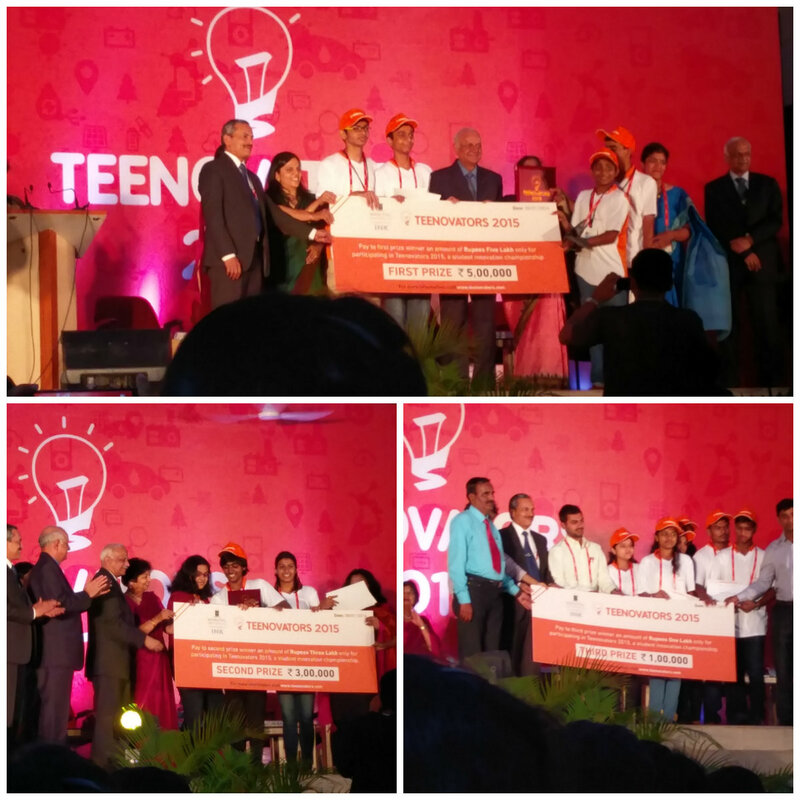 From the name Teenovators one can easily make out that it is about teenagers innovating something useful. The Teenovators went to 400+ schools and got 100+ ideas. All the ideas believed in making the world a better place to live in. They selected the best 8 ideas in terms of innovation, originality, feasibility etc. These teams have projects from different subjects like life sciences, physics, agriculture etc. The event went on for the whole day. The best 8 schools gave the presentation during the first half of the day and then post lunch there was a grand finale award ceremony. 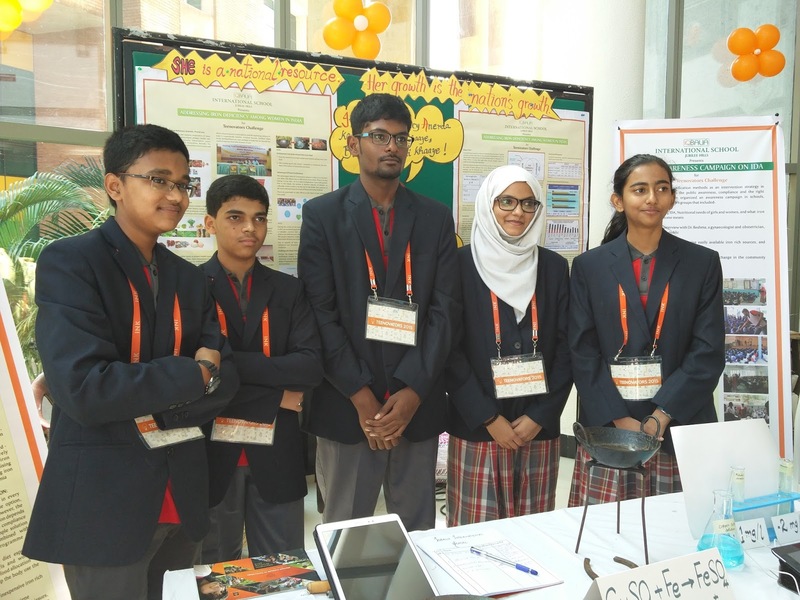 Iqbalia International school from Hyderabad came up with a cost effective idea to treat Anaemia. Anaemia is very common among women in India. Use iron utensils for cooking purpose as they release ferrous and ferric ions in food and water and these ions are absorbed by the body to cure anaemia. Women safety is very important these days. 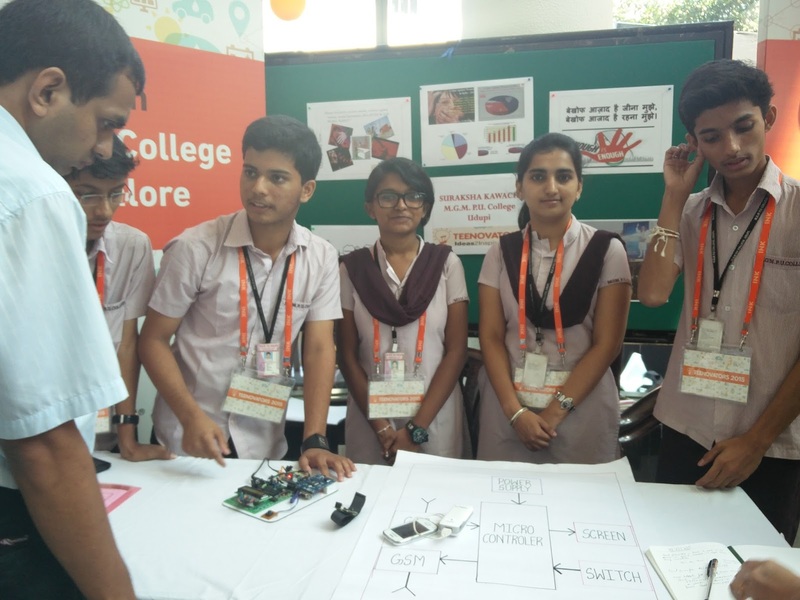 Women are not safe anywhere and so the students of MGM PU College, Udupi innovated a “Suraksha Kavach” for women which can be worn on the wrist like a watch. This watch will raise an alarm whenever pressed. It has GSM, GPS and camera embedded in it. The Air Force School, Bangalore have made an effort to innovate CLONEATOR. Their idea was to develop a replacement for humans who have risky jobs. Their CLONEATOR works on the principle of one robot cloning another control robot. The controlled robot can be located in a safe zone while the clone robot in the risky zone. The movement on the control robot transmits the signal to the clone robot which can be operated by a mechanic or a driver. 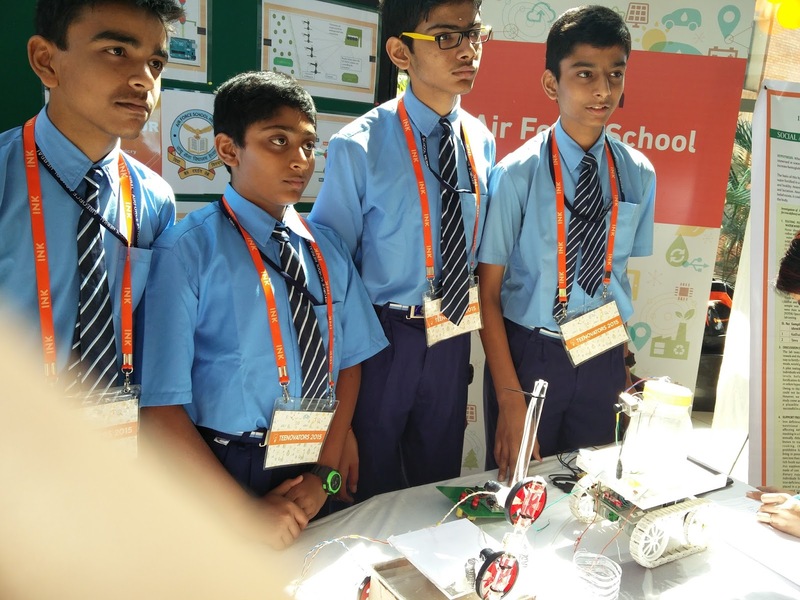 The students of Velammal Vidyashram came up with the idea of using the plastic concrete to make shift house construction. This idea would help reduce plastic waste pollution. Their idea was to light up the train compartments by using the energy of a running train. This is done by fixing piezoelectric materials in shock absorbers and coupling dampers of a train. Their idea was to control the plant growth using electromagnetic waves. The plant growth can be controlled using electromagnetism. 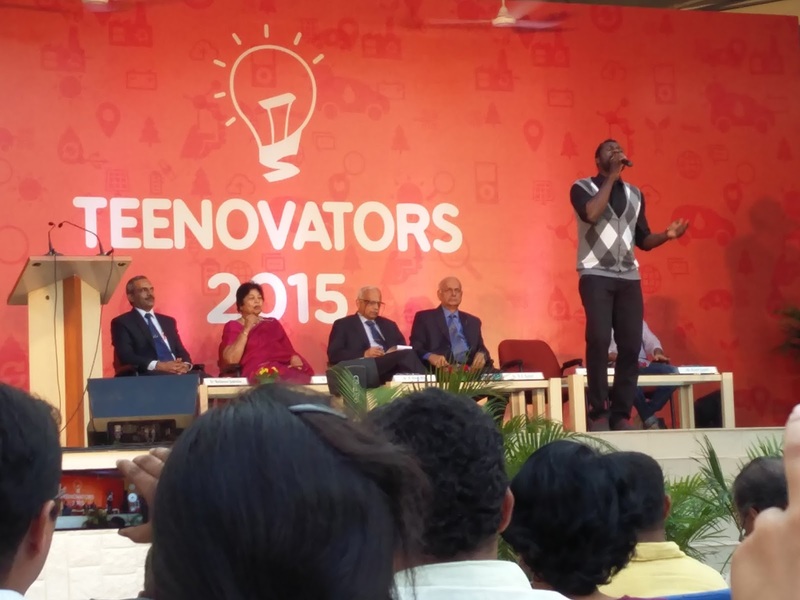 The judges then share the experiences of #Teenovators2015 and then it was the time for them to declare the winners. All the projects were really and it was really difficult to choose the best. But the Air Force school from Bangalore made it and they won the first prize for their great idea. Even I liked their idea a lot as it was about getting a risky job done without effecting a person’s life. The Air Force school Banglore got the cash award of Rs 5,00,000. 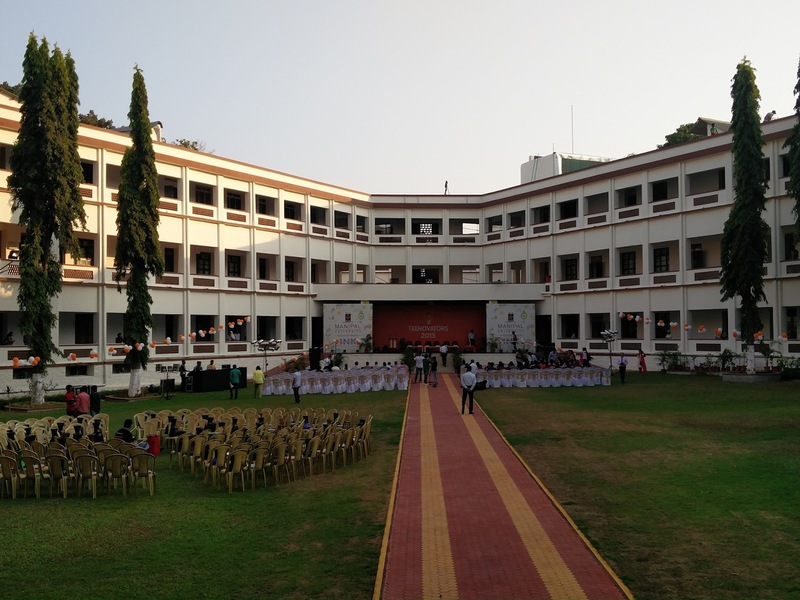 The Garden High International School, Kolkata bagged the second prize with cash award of Rs 3,00,000. The third prize winner was the BJS, Pune and they received the cash price of Rs 1,00,000. 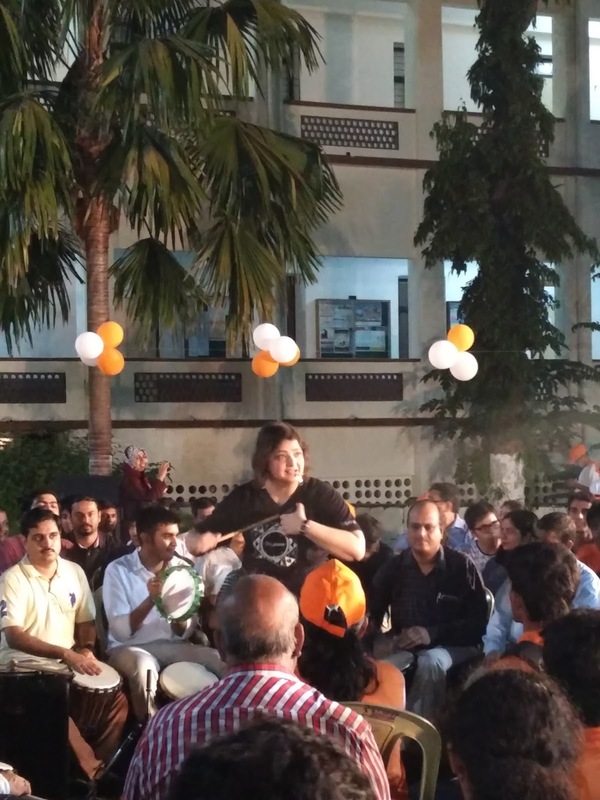 The surprise element of the event was the bollywood singer Vasundhara Das. There was a drum jam session with her in which she taught everyone to play the different kinds of drum. The evening then ended with a gala dinner and everyone had a jovial time. 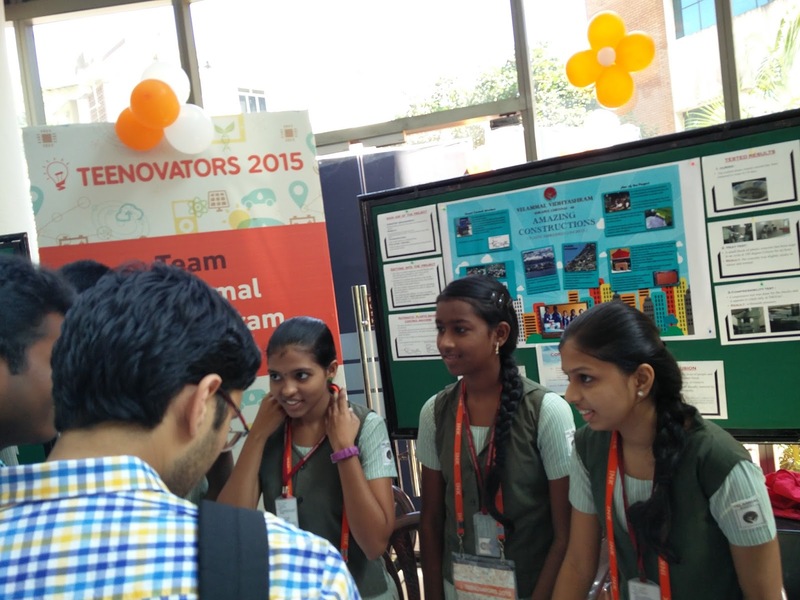 We had a great experience at the Teenovators2015 event and we got to see some really great ideas which can help in the betterment of the society.